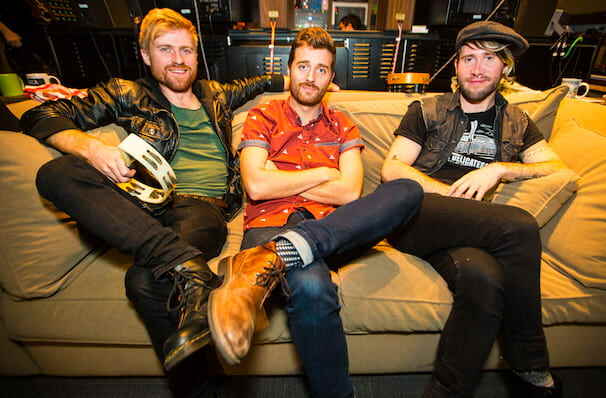 Power-pop trio Jukebox the Ghost undertake more US live dates! Why See Jukebox the Ghost? Formed in their college days, power-pop trio Jukebox the Ghost combine quirky melodic hooks with an infectious energy culminating in upbeat, unashamed, pop-laden ear worms that will get your toes tapping. After the release of their debut album 'Let Live & Let Ghosts' in 2008, the band was bolstered by a positive reception and began touring extensively. Now they hit the road again, coming to you soon! In 2014 they toured on the back of their self-titled album, one where lead singer Ben Thornewill's distinctive falsetto added an air of theatricality to the piano-driven, synth tinged and effervescent collection of feel-good tunes. Sound good to you? 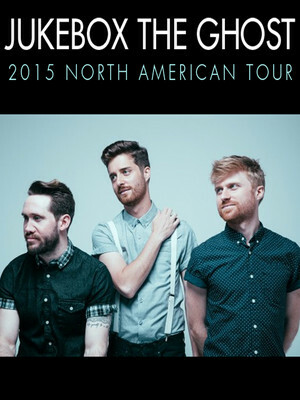 Share this page on social media and let your friends know about Jukebox the Ghost at Neptune Theater. Please note: The term Neptune Theater and/or Jukebox the Ghost as well as all associated graphics, logos, and/or other trademarks, tradenames or copyrights are the property of the Neptune Theater and/or Jukebox the Ghost and are used herein for factual descriptive purposes only. We are in no way associated with or authorized by the Neptune Theater and/or Jukebox the Ghost and neither that entity nor any of its affiliates have licensed or endorsed us to sell tickets, goods and or services in conjunction with their events.